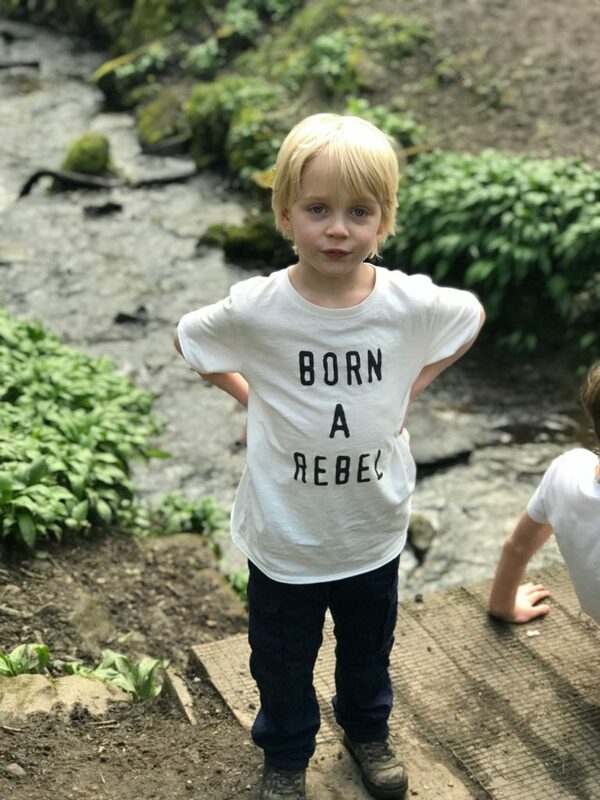 You are here: Home / More / Kids Activities / Things to do in Manchester with the kids – get outdoors edition! 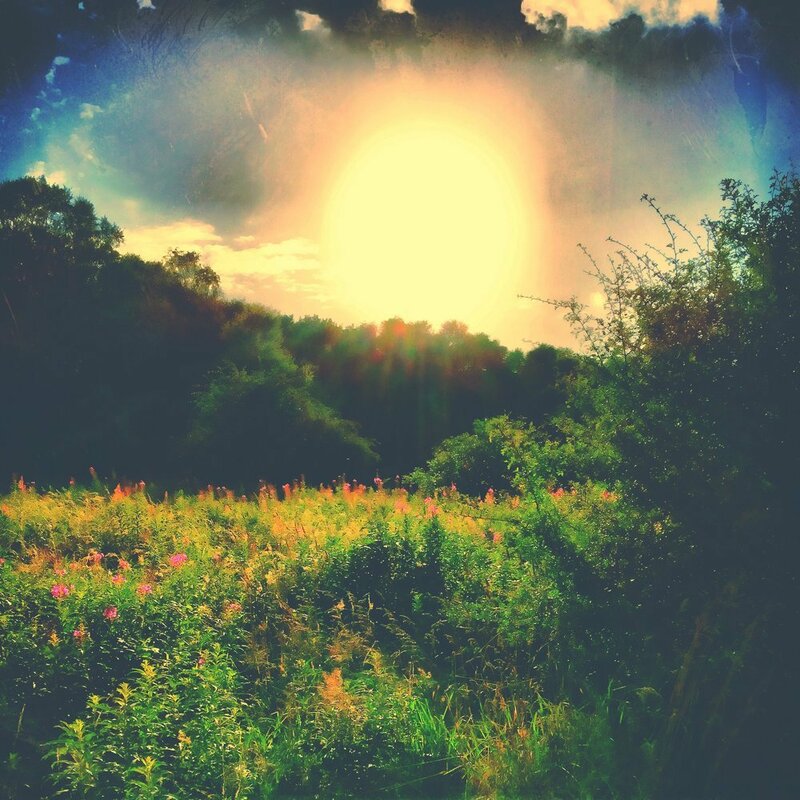 Things to do in Manchester with the kids – get outdoors edition! 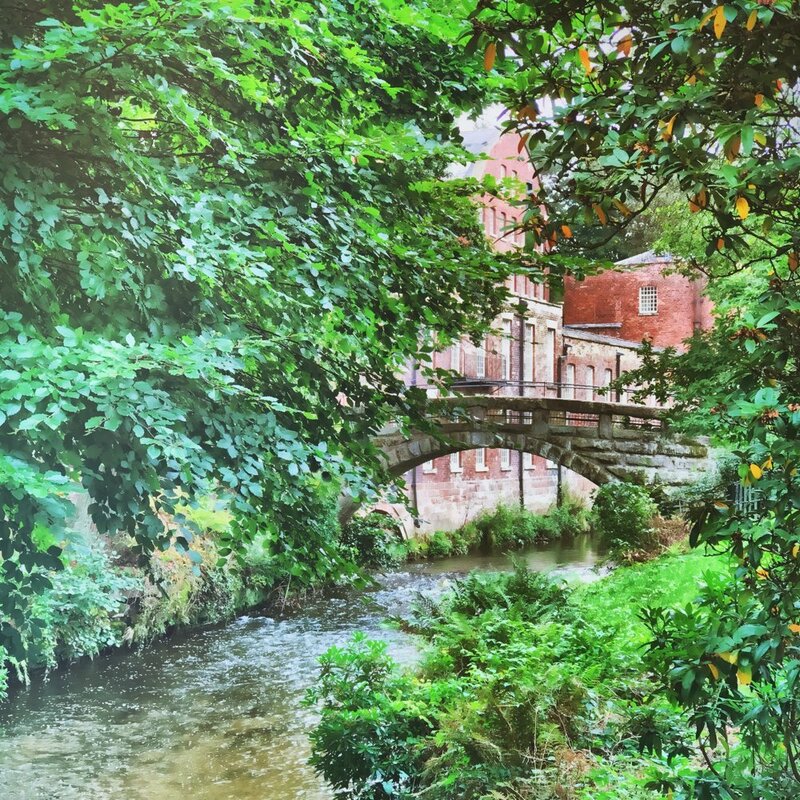 There’s literally hundreds of things to do in and around Manchester with the kids – here’s some of our favourite hidden (and not so hidden gems) that are totally worth a visit. 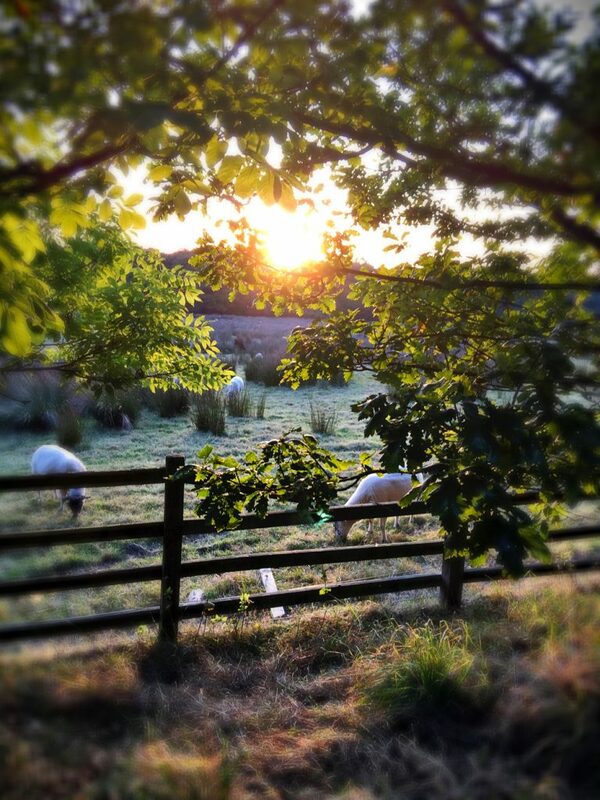 Get outdoors and go a bit rural – our favourite outdoor spaces to really let the kids run wild. 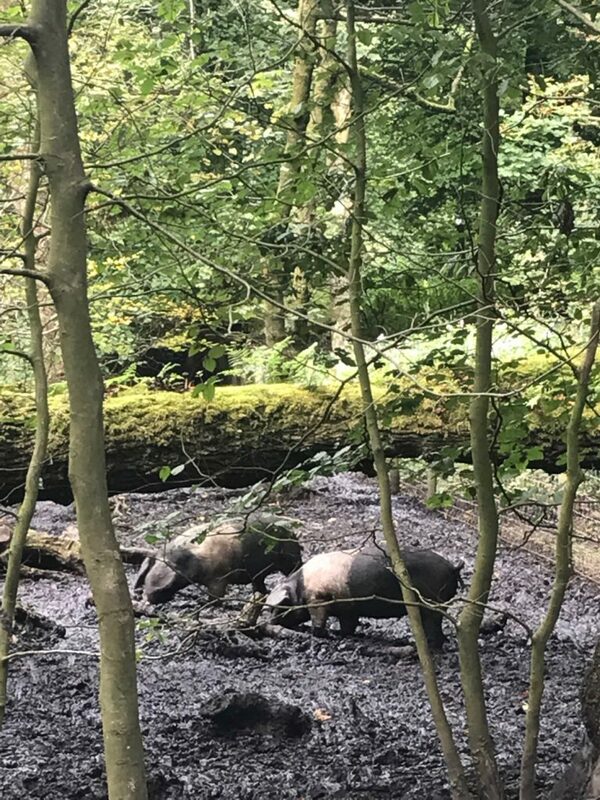 Acres of country park and woodland trails – or head to the centre and play on the amazing free adventure playground, or even find the woodland pigs. If you want to splash some cash then there’s high ropes, adventure golf, crazy golf and the kitchen courtyard for some delicious food. The park hosts loads of different events throughout the year – outdoor theatre, artisan markets, outdoor cinema, live music and festivals – check out the website for what on and when. There’s a huge carpark and lots of facilities – cafe’s and toilets. 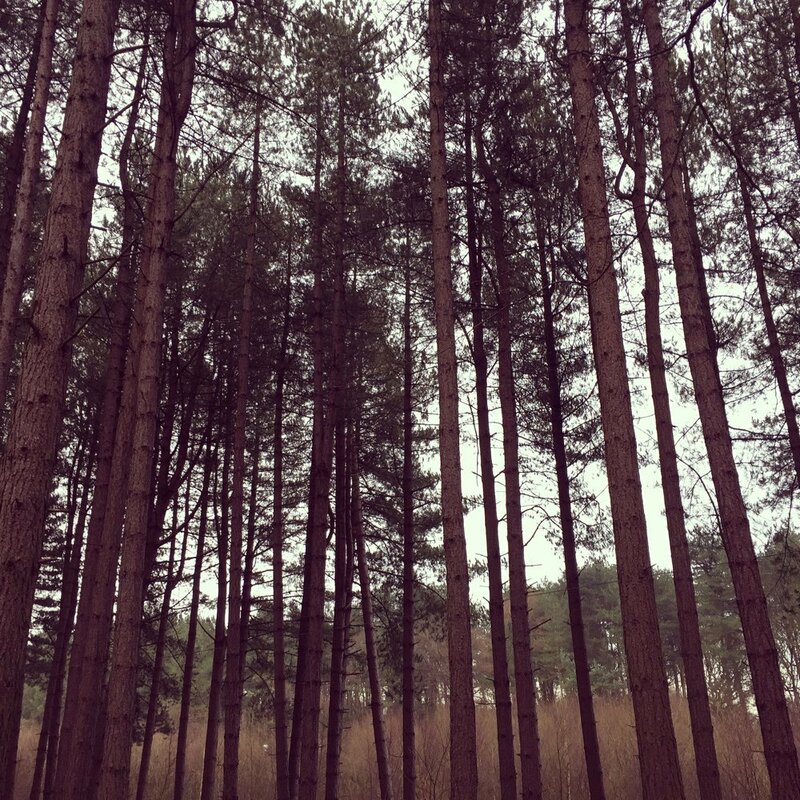 A beautiful ancient woodland – you can just spend the day exploring or you can follow the guided trails – if you’ve got younger kids, try out the Gruffalo Trail. 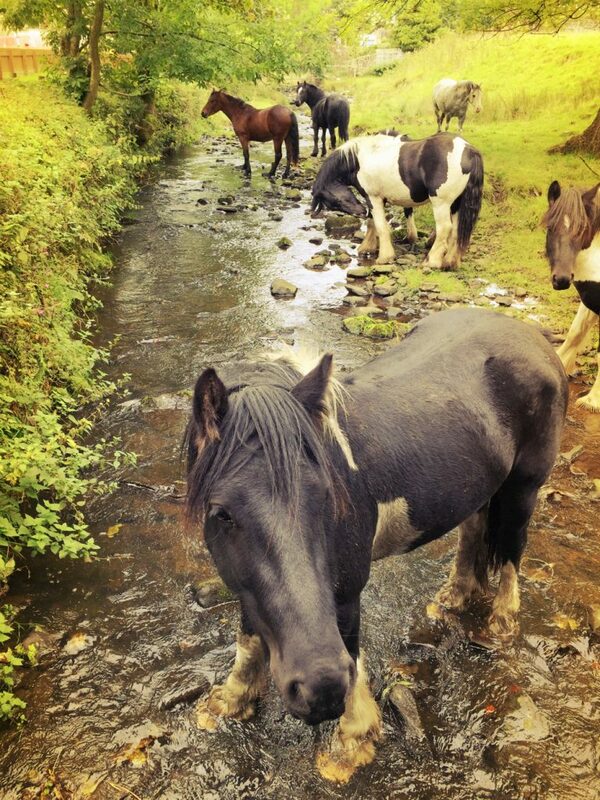 With cycle paths and horse-riding it’s a great place to visit. It’s also home to GoApe. The forest hosts loads of fun events throughout the year so check the website for up to date information. There’s loads of parking around the forest area. 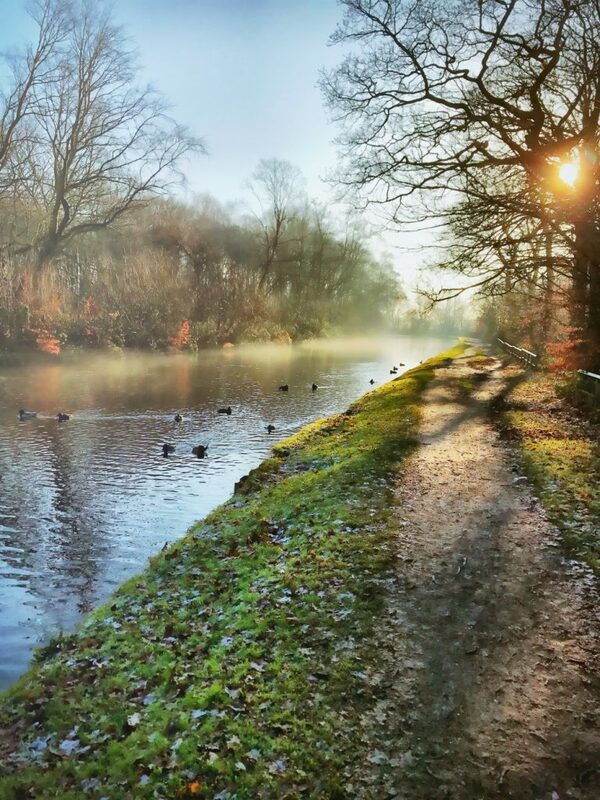 You can see Rivington Pike from pretty much all around Manchester – head over to Bolton and explore. 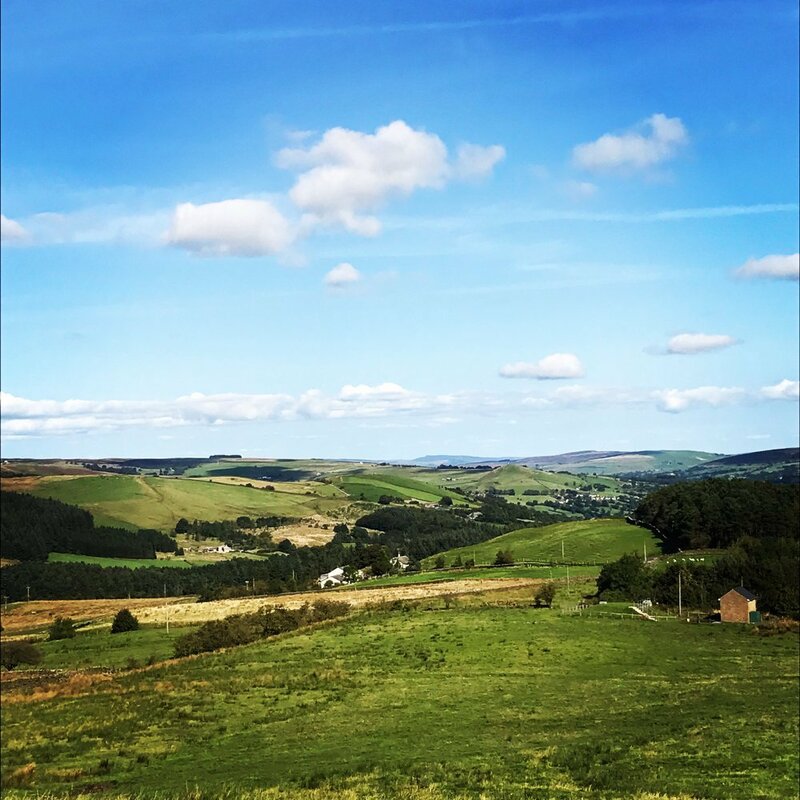 You may need to give some areas a miss at present due to the summer fires up on the moors and take careful note of diversions and prohibited areas – but there’s still loads of forests, reservoirs and walks in the lower areas and Lever Park to enjoy and some of the views are just breathtaking! It’s a place to really run wild and enjoy the space! There’s a shop/cafe and toilet at the Visitor Centre and various places to park. Head over to Fairy Glen – it’s a total treat! 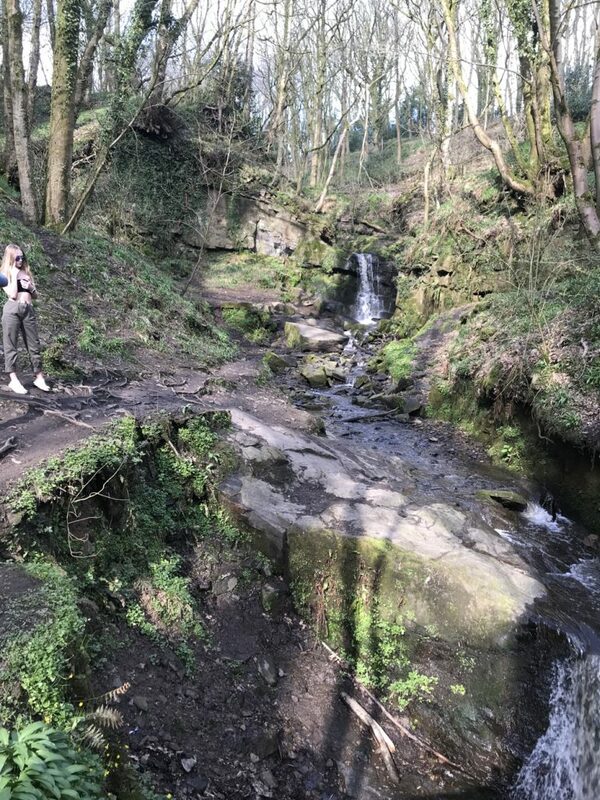 Younger kids will enjoy hunting out the tiny fairy doors – older kids will just love the opportunity to run around the woodland, check out the waterfalls, my kids love to play in the rivers and streams and clamber over the rocks. It’s quiet, unspoilt and a great place to explore – take a picnic. There’s no facilities here – no dedicated parking, just roadside and no toilets but it’s a great place to spend a few hours out in the wild. 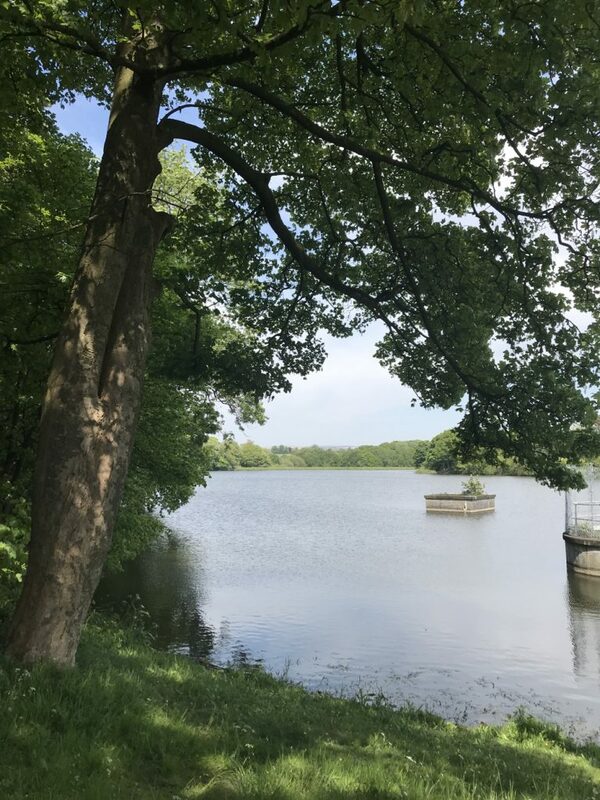 A stunning country park and nature reserve tucked away in Wigan – with miles of walks and loads of wildlife – it’s quiet, beautiful and a place to get away – with three huge reservoirs and accessible pathways it’s a good place to go with a pram. Take a picnic and totally chill out. There’s free parking but no toilets or cafe, oh and no dogs allowed at this one either. 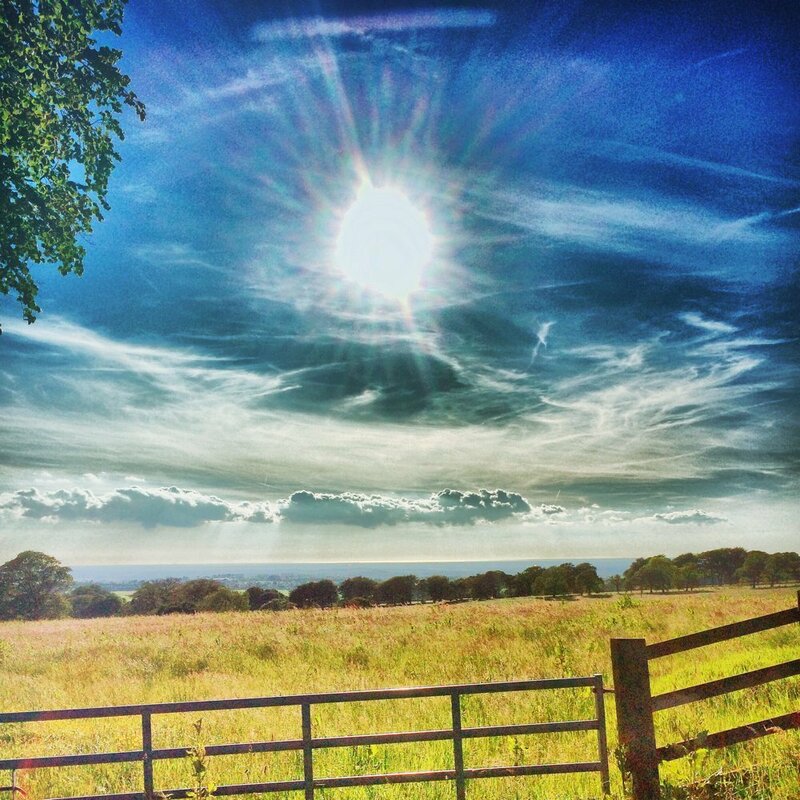 Add a sprinkle of magic to your day and head up to Pendle Hill – not far from Manchester this place is spellbinding! 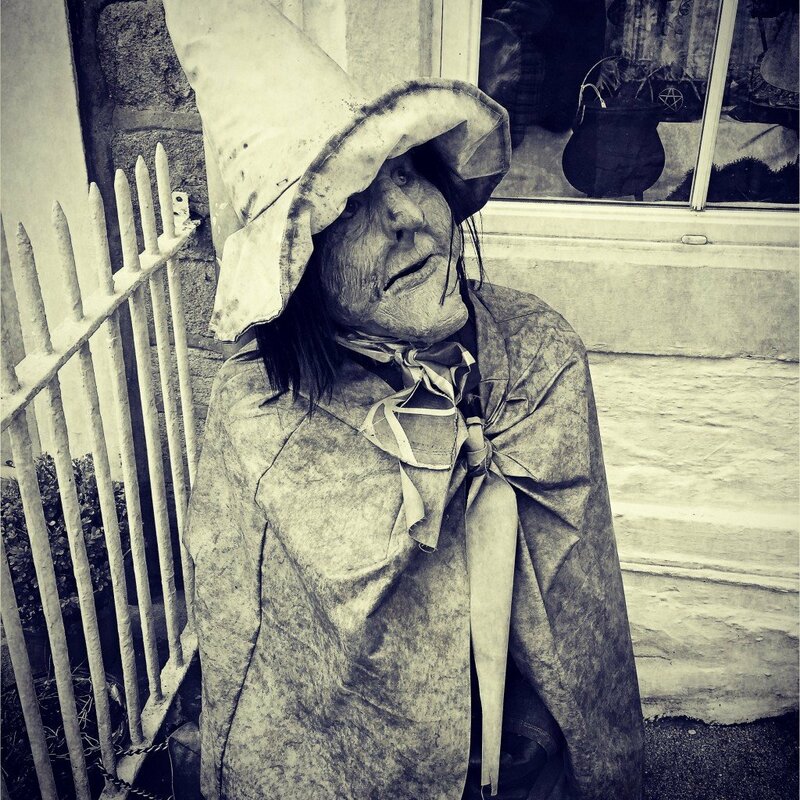 Bursting with history and legend, it’s a great place to walk – there’s loads of walking trails, cute little hamlets and villages to discover – find out about the 1612 Pendle witch trails and just soak up all of the fresh air and countryside. Don’t forget to visit the little magical shop in Newchurch. Parking available dotted all around the area and loads of gorgeous pubs to eat at or just take a picnic. 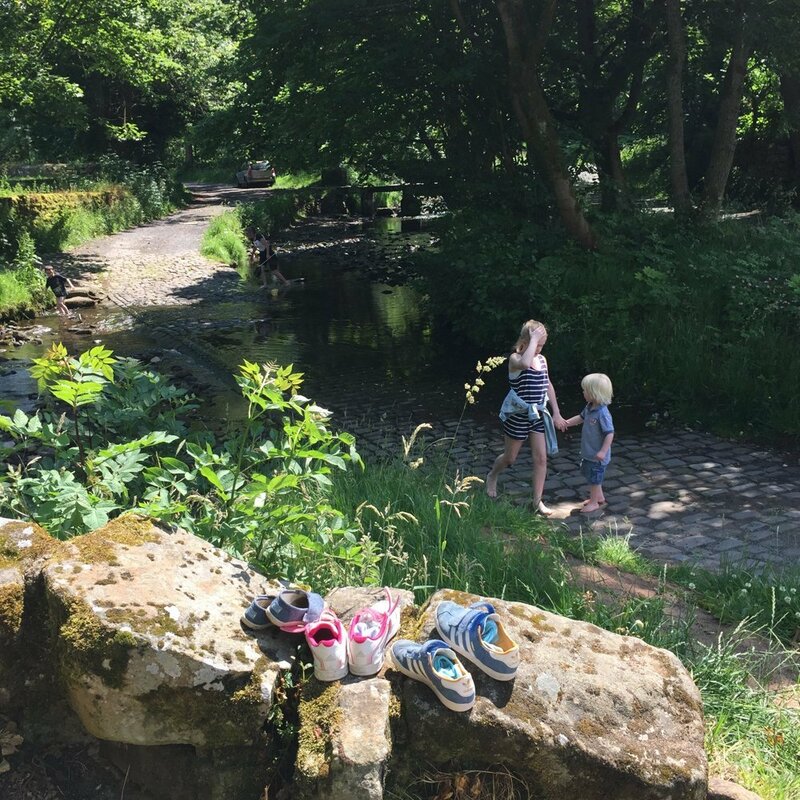 This little place is well worth the drive if your kids like to just explore the outdoors – walk around, discover the secrets of hidden ancient ruins and just soak up everything a day in the countryside has to offer. 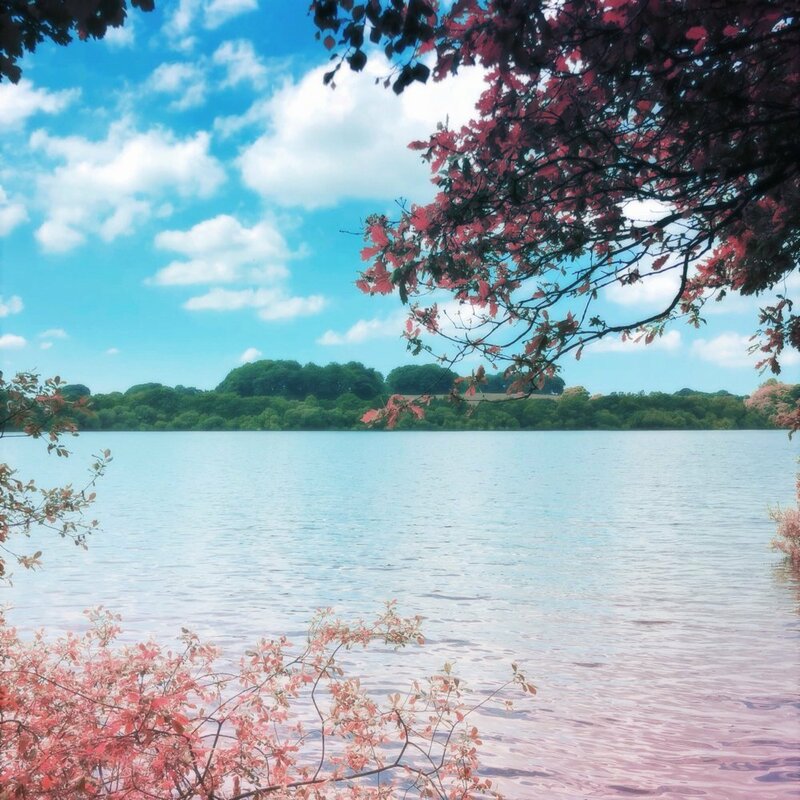 There’s lots of places to walk, loads of nature to watch – there’s nothing over-entertained here it’s just nature, fields, streams, ponds and ruins. Make of it what you will. 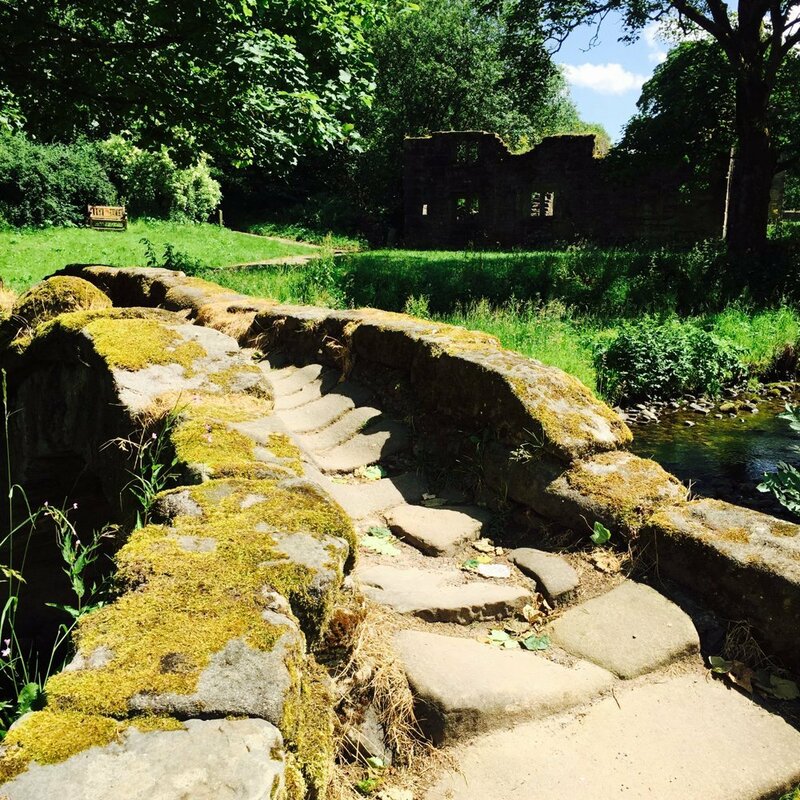 A National Trust gem – check out the woodland walks, the grounds and gardens of the mill – with hands-on experience of how apprentices lived and worked during the Industrial revolution – it’s a place emerged in history and one kids always enjoy visiting. Plenty of parking, cafe, ice-cream, toilets and pram/wheelchair accessible and a woodland playground. It’s easy to spend a full day here. 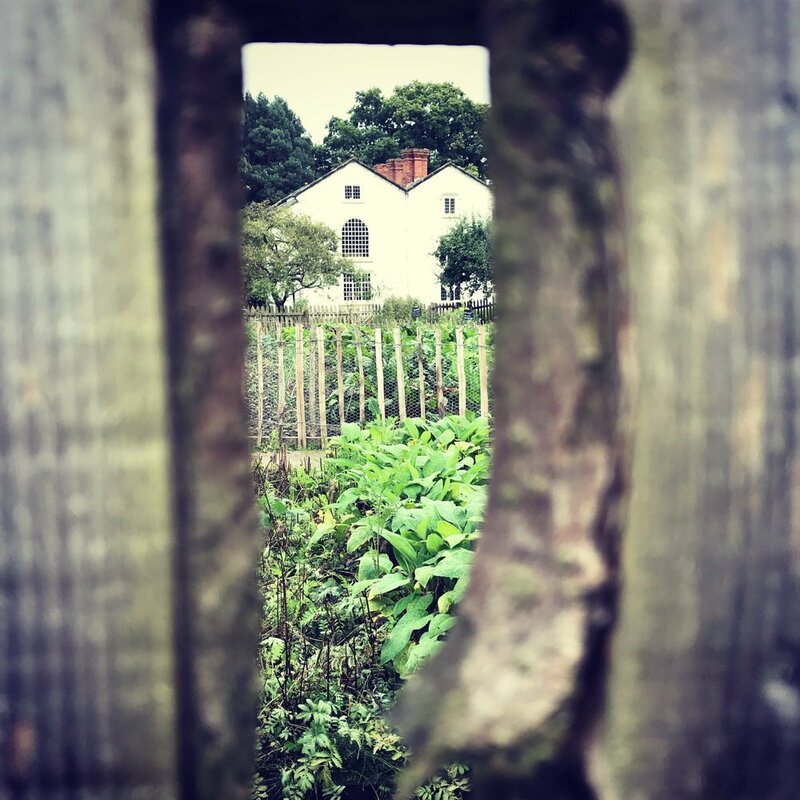 Another National Trust treasure and a brilliant place to spend a day with kids – Speke Hall is an iconic Tudor hall and it’s great to visit here with kids studying Tudor times in history class as it really brings history alive! 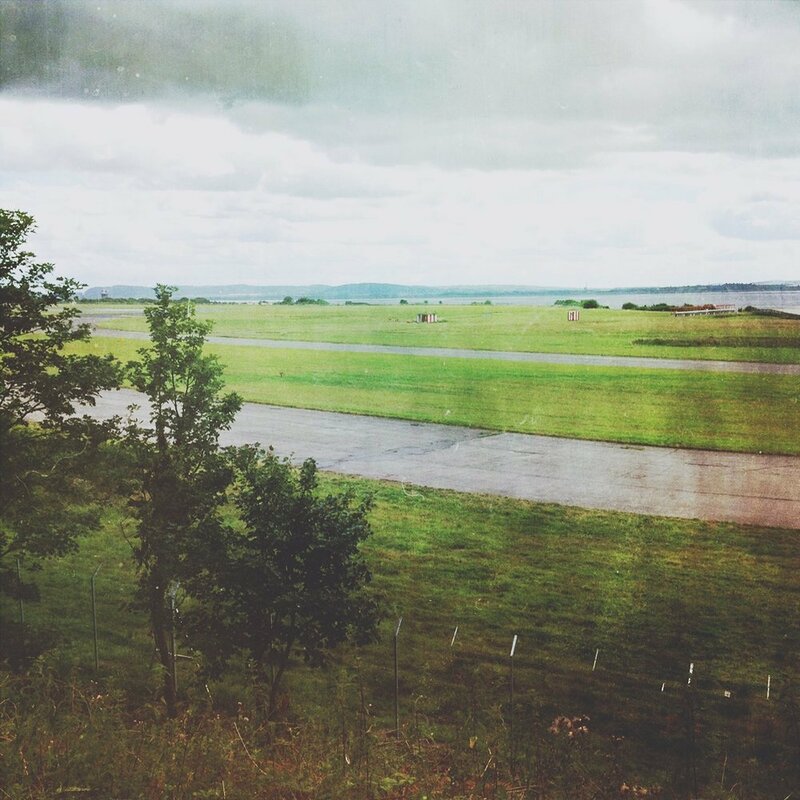 There’s acres of grounds to walk around, loads of space for playing and if you’ve got kids that LOVE aeroplanes then head off on the long estate walk where you get a brilliant view of Liverpool airport runway with the planes landing and taking off – which kids just LOVE. Lot’s of parking and facilities a brilliant place to spend a full day. 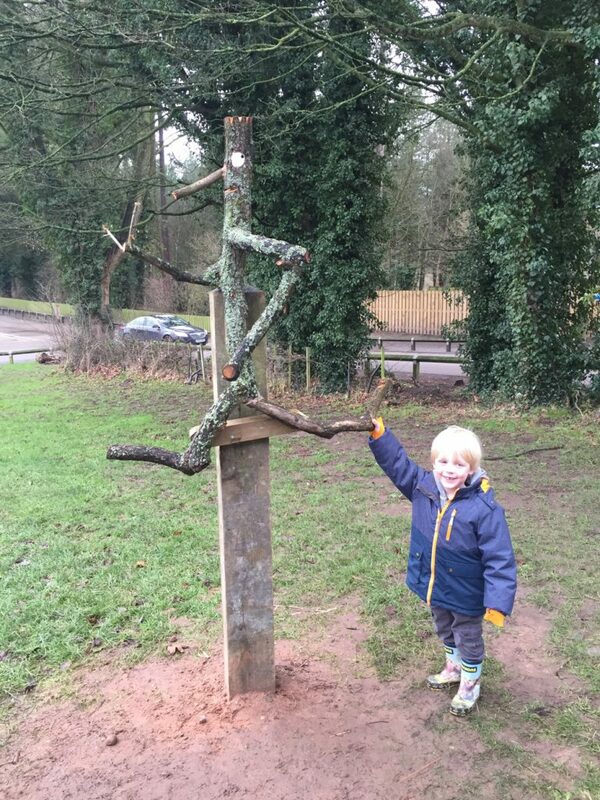 Alderely Edge is a brilliant place to visit with kids – acres of woodlands to explore, dramatic sandstone cliffs and rocks, amazing views. Loads of different walking trails to try out for all different abilities. This place is high up on my kids favourite places to go – just to burn off some energy and tune back into nature.